Blog > Confessions > Bring out the summer stash! The mercury goes up, and we pack away our woolly best! Merion’s going to switch to her summer stash and make the most of cool cottons and lovely linen! Warm weather knitting fever has swept through LK HQ, and we’re so excited about knitting for summer! Whilst our friends on the other side of the world are luxuriating in toasty wool and cosy socks, we’re longing for linen and cool pastels! I’ve always been a slightly reluctant summer knitter, but this year I have been unable to resist the call of the summer stash. Never before have I been so in love with cotton and linen – swathes of ice-cream shade palettes have been calling me – and I’ve decided to “switch my stash”! A stash dive is a very satisfying activity for a knitter. Who knew there were such jewels to be found at the bottom of a chest/drawer/random mountain of yarn? Do you know what is at the bottom of your stash? I always think I know what I’ve got – but I’m still surprised when I find an old friend I’ve forgotten! Bamboo yarn is a perfect choice for warm weather thanks to its cool, antibacterial properties. It has fabulous drape and a gentle lustre, and as well as being kind to skin, it is gorgeously soft. Perfect for lovers of natural fibres, bamboo is a sustainable crop, and often blended with cotton, linen and silk. I found some King Cole Bamboo Cotton DK in Dusty Pink (618) and Pink (516) that I bought to make the After the Rain jumper! This yarn is a great favourite – it’s cool, light to wear, and delicious to knit. There are 29 shades to choose from – and I loved these pinks. Why haven’t I made it? I decided perhaps the neckline would not be flattering on my cursedly short neck. I have since envied everyone else’s After the Rain jumpers! Sigh, I am having such a love affair with cotton! I bought this gorgeous Schachenmayer Catania to indulge my recent obsession with all things ombré! I am dreaming of a simple cushion cover, working double stranded to introduce gradients of colour as I go, inspired by Amy Kaspar’s methods here. I want to create a slow graduation from dark to light! With 65 shades to choose from, and a robust strength with shimmery sheen, Catania is the perfect choice, and it is an affordable choice too. When I’ve made it, I’ll share it with you, I promise – but for now, these are the shades I have chosen! 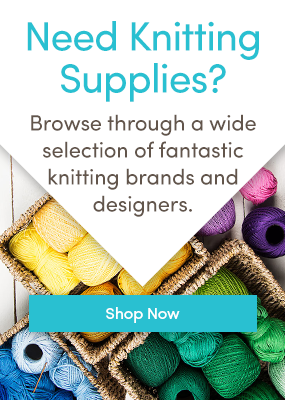 If you prefer a cotton with more of a matt finish, the 56 glorious shades of Paintbox Yarns Cotton DK and Paintbox Yarns Cotton Aran are wonderful, washable brights and pastels that are wonderfully soft to knit and wear. Valerie Hobb’s Scarborough Tee is a perfect knit for cotton (or a cotton blend), cool to wear and with pretty detailing over the shoulders and hem – a fabulous project for an adventurous new knitter! I knew there would be some BC Garn yarn in my stash, because I love this gorgeous range. It’s organic, and in the most sumptuous shades, but with a very affordable mid-range price tag. Having knitted a jumper in BC Garn Semilla Grosso last autumn, in the most amazing pumpkin orange (OA115), I had fallen deeply in love with the colour palette, and I came across six balls of BC Garn Allino that I bought because I love the clever colour saturation. When this cool blend of cotton and linen is dyed, the fibres take up the dye differently, resulting in a fabulous two-tone effect! I bought the mustard shade, CL25 (far right, below) because I’m a mustard-o-holic, but the leafy CL19, and sky blue CL30 just sings summer. What am I going to do with six balls of DK? I think my BC Garn Allino wants to be a cropped summer cardi. Watch this space! I love shawls, and as much as a fine wool scarf can be fantastically warm in winter, a cool silk shawl or scarf can be the perfect warm weather knitting project! I had forgotten that I had some Lang Yarns Stellina in my stash – and recently I found the most fantastic pattern, perfect for simple lace: Herald by Janina Kallio, a wonderfully simple combination of garter stitch and yarn overs that creates a stunning lace scarf! You can work this beauty up in heavier yarns too – so it’s a brilliant stashbuster. This eight row repeat is very simple to memorise, and it grows fast, even with lace weight yarn. It’s the perfect throw over a t-shirt, dress, or top for warmer days – and of course if you can dress it up or down in silk or cotton – I absolutely love it! Tape yarns are super popular at the moment – but the eternal question is, what on earth do I knit with that? Well the answer is that there are lots of fantastic patterns for tape yarns, all especially designed to bring drape and shape, making the most of that flat ribbon style. I bought some Debbie Bliss Delphi in the sale, and have been just waiting for the right thing to knit! The gorgeous thing about Delphi, is that it is a chunky weight yarn, but blissfully light to knit and wear, and knits up really fast on 8mm needles, which is an absolute treat. This Simple Tank Top is one of those tops you just won’t want to take off, you could wear it every day in the summer and never get bored with it… and it’s so fast to make! What have you got hiding in your summer stash? 2 Responses to Bring out the summer stash! I’m knitting a pair of yoga socks with Panda Cotton (59% Bamboo, 25% Cotton, 16% Elastic Nylon) Tutti Frutti, 8108. Hi Jean! Bamboo and cotton is a fantastic blend for socks! and Tutti Frutti! I am sure they will bring great joy to your yoga!